Containerized solutions. 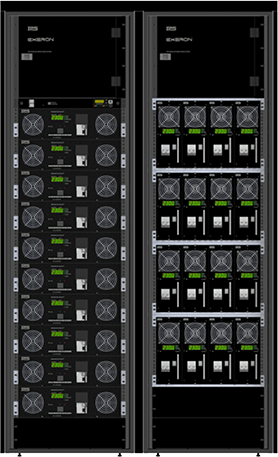 Multi-cluster design scalable from 12 kW up to N x MW. Very fast and easy installation. Operation in harsh ambient conditions – extreme temperatures, highest level of dust, sand and humidity. Autonomous power supply of oil and gas wells, cathodic protection, RTUs, drilling sites and any other critical equipment. Designed for operation under harshest ambient conditions with extreme temperatures, high level of sand, dust and humidity. Oil & Gas, Telecom, Military, high-end Residential equipment or any load running on diesel generator. Turnkey indoor and outdoor power solutions for off-grid or locations connected to unreliable grid. Operation in harshest ambient conditions. Complete indoor and outdoor power solutions for both grid connected and off-grid sites. Unique outdoor power systems with 100% in-house invented maintenance free active air conditioning, heat exchange and free cooling options. 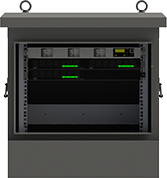 All our systems are based on the famous in-house developed IPS modular structure. 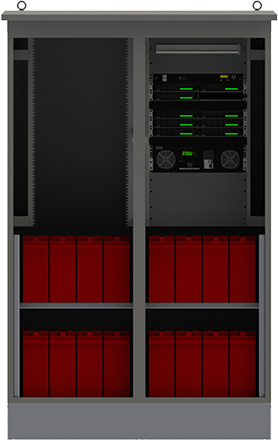 Unmatched reliability through built-in redundancy of every system component and unique fault-tolerant solutions. Monitoring and Control Unit. The brain of every IPS's system. MPPT solar charge controller 2kW.